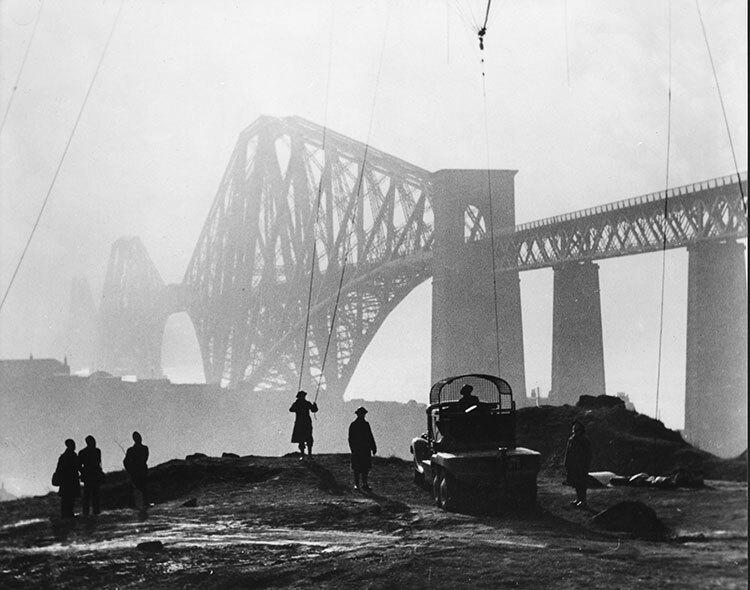 Andy Royston celebrates Night Mail, one of the most influential documentary films of all time. For much of the time between the wars the General Post Office (GPO) was the largest employer in Britain. It was at the leading edge of business practice and technical research, overseeing vast investments in a new telephone network and introducing new ideas about customer service. 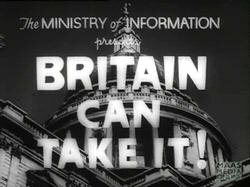 Because of all this change, the GPO was interested in making movies about their work as a way to familiarize its staff and the wider public with these emerging technologies. And encourage the good he did, taking on some of the most talented and film makers in the country. 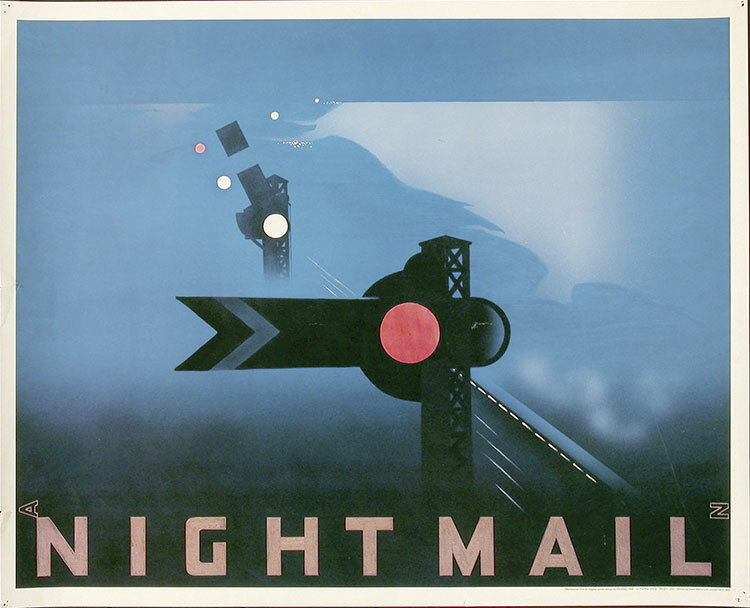 Night Mail is an account of the Royal Mail delivery service; showing, through a night journey from London to Scotland, its various operating procedures. After the mail is collected for transportation the film documents the course of a night journey north, the process of onboard sorting, and the way that regional staff and stations play their part in the mail process. The film channels representations of modern technology and institutional practice away from an account of the industry of postal delivery, and into a study of the train as a powerful symbol of modernity, in its natural element speeding into the countryside. 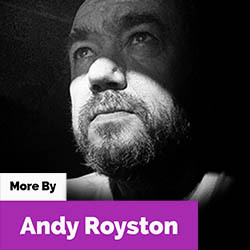 Professor Ian Aitken – Academy of Film, Hong Kong University. Royal Mail celebrates great British Film with new stamp issue. 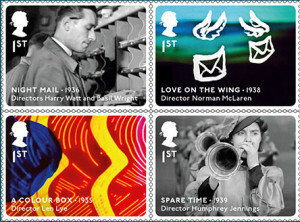 Night Mail (1936), Love on the Wing (1938), A Colour Box (1935), and Spare Time (1939) complete a ten stamp collection. Over time it became clear that the movie was a technical landmark in the way that it uses sound, images, music and narrative. 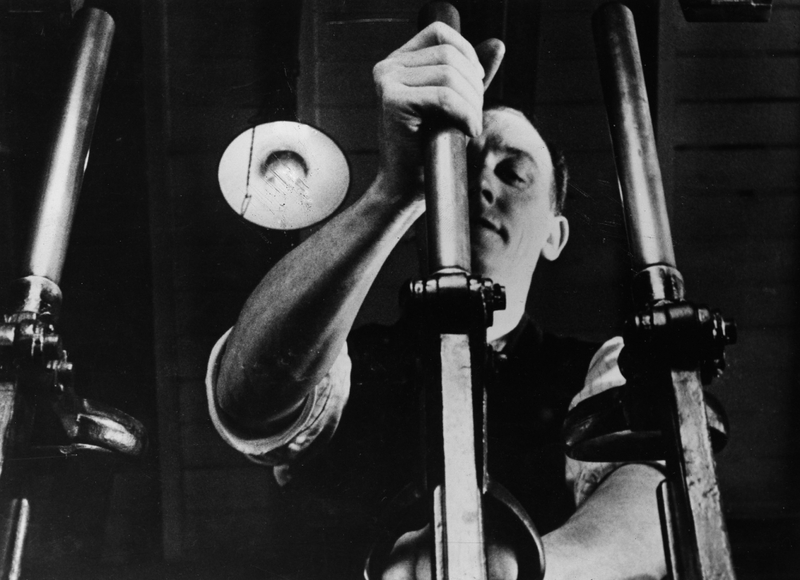 The GPO Film Unit, under Grierson’s direction successfully mixed social purpose with experimental film making. 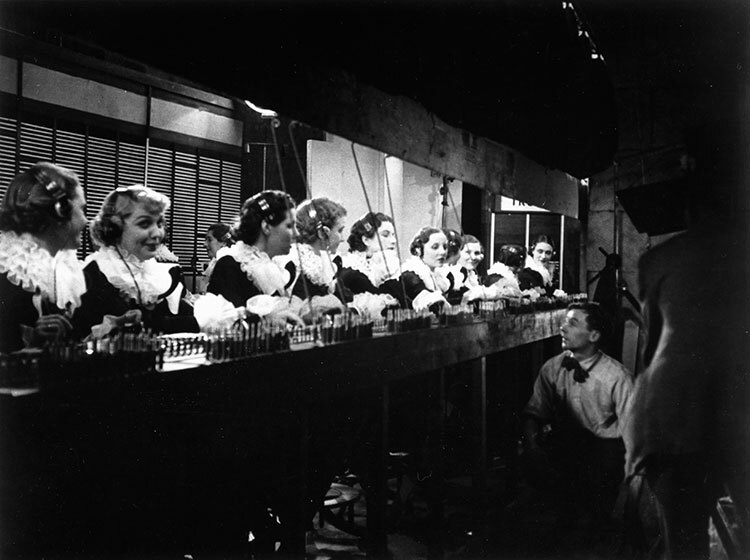 It focused on the person first and the job second, putting the individual worker and his drama at the center of the process, which helped the public identify with the film. The GPO even took steps to take the movie out of the theaters, with traveling cinema vans to get the films out to the public. They were shown in schools and community-halls as well as cinemas. Night Mail’s most memorable sequence is a combination of the verse of WH Auden and the music of Benjamin Brittan in a thrilling cinematic climax. The poem seems to imitate the train’s wheels as they move rhythmically over the tracks, beginning slowly but picking up speed to a breathless pace as the train speeds on. When the train slows toward its destination the final verse is back to the pace that it was in the beginning. WH Auden Night Mail, 1936. Poster produced for London Midland & Scottish Railway (LMS) as one of a series of sixteen commissioned by the LMS from members of the Royal Academy in 1924. 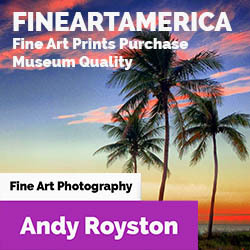 Each artist was paid a fee of £100 and received royalties on the sale of prints. 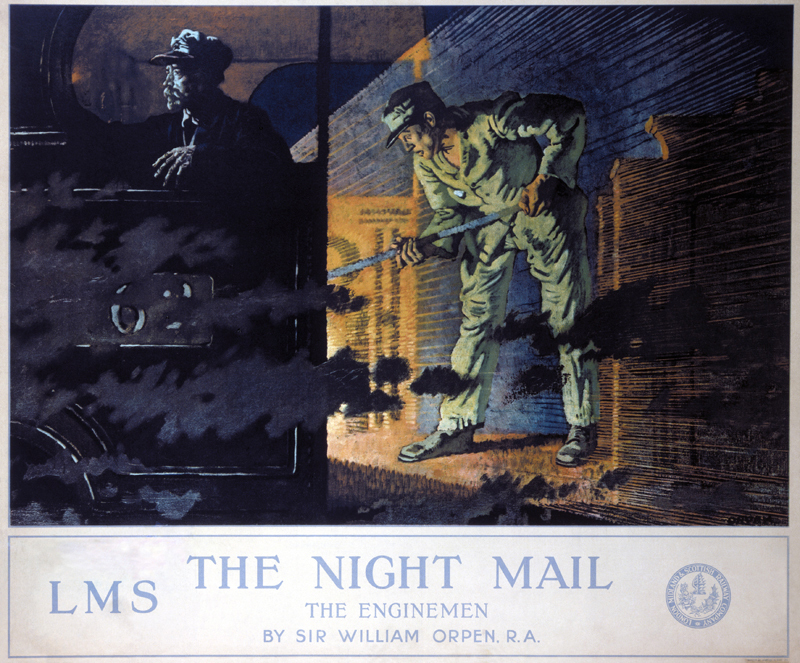 Artwork by Sir William Orpen, who studied at the Dublin Metropolitan School of Art and at the Slade Art School. He was an Official War Artist from 1917 to 1919 and was knighted in 1918. He was best known for his portrait and genre work.